So, Ive been fretting over building a drag week car. 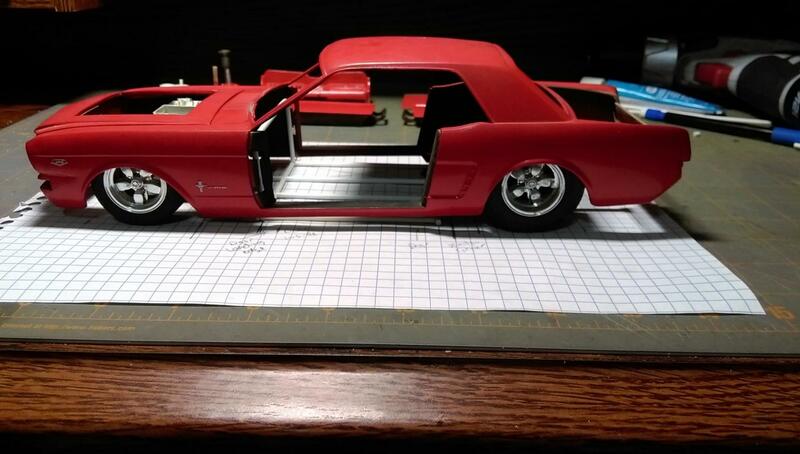 I wanted to make my 1/8 scale iroc into one, but the costs of printed parts is a little high for me. Ill eventually get it done, but I have to pace myself. I cant justify spending $500 on parts right now. I have started a brass collection, and will be practicing with it. In the meantime, I pulled this wreck out of storage. It was a mess. Ignore the wheels, and the hole in the hood. 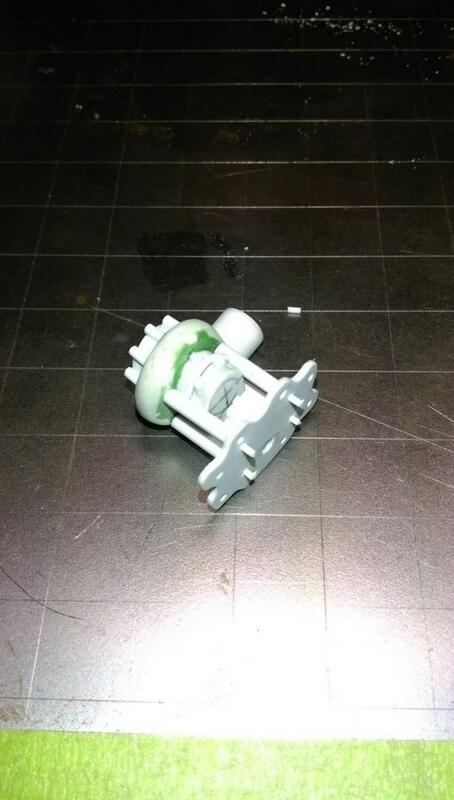 The 1/16 parts are cheaper, and I can get a lot more in resin. I have started the chassis, but I have some questions for you gurus. I used .100 inch tubing, which is roughly 1-5/8, if Im correct. Is that too big for the main floor tubing? All the research I have done shows a lot of 1-1/2 inch and 1-1/4 inch tubing, but I dont have the sfi spec for a 25.3 chassis, or a promod chassis. The plan for the model is, a direct drive centrifugal supercharged engine (I have a hemi, I might use it, or get a 429 ford) with a liberty trans, 11 inch strange rear, 4-link, gear vendors overdrive unit, water/methanol injection, dual fuel system, adjustable suspension, and of course, a trailer hitch that might get a trailer. Should be nice, if I can pull it off. Any input on scale, tube size, or parts suppliers would be helpful. I can't help, but I hope someone else does. This looks like a great project! Dwayne, 1 5/8 or 1.6250 is what all your main tubes should be for 25.3, smaller tubes 1 1/2 1.500 is for secondary framerails and added support tubes. Ahhh. I had seen the color coded drawings, but didnt know the sizes. Now I have a bunch of parts to get in the mail, and Ill see if I can resurrect this old glue bomb. Thanks guys. dwayne i copied this off the chassis works site. not sure of your wheelbase or the one on the print maybe, it will help. Thank you Dave. I started this chassis, then realized I was about to mess up again, so I waited. I wanted to get the engine/ trans combo sorted out, then the rearend. The kit comes with a 9 inch, I might be able to use it, with some 4 link plates. I have a hemi from another project, that might work also, but Im not sure yet. 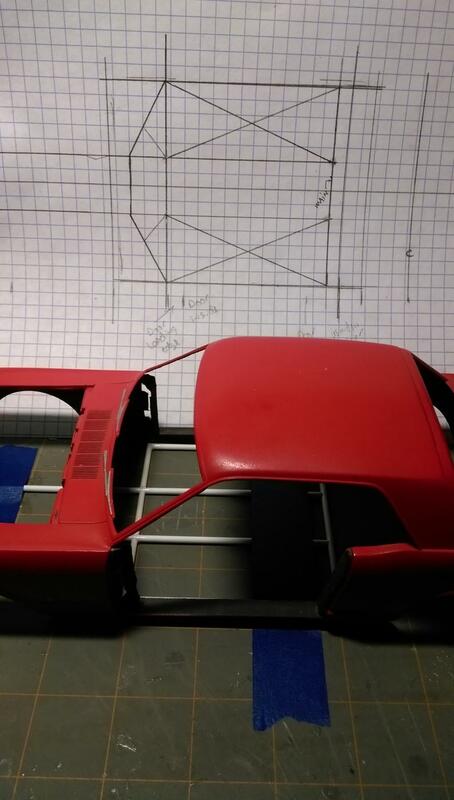 Im going to finish my 1/24 scale car hauler first, and get a few models on it. Then Im going to start on this one heavily. I think it has a ton of potential. I am learning a lot watching you and a bunch of the other guys on this forum. A small update. 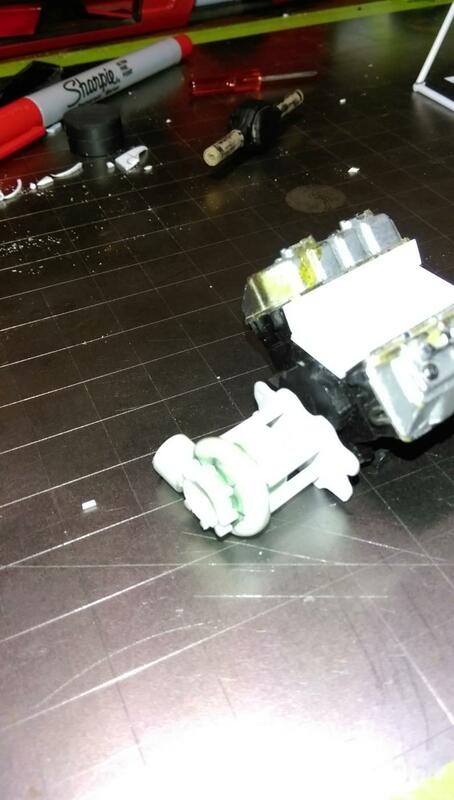 Im trying to do a direct drive supercharger, like the one here...direct drive centrifugal supercharger The whole thing is scratch built, and it isnt finished yet. Ill clean it up, add some bolt heads, and details. I havent went too far yet, because I dont know if Ill keep this engine, or get another. 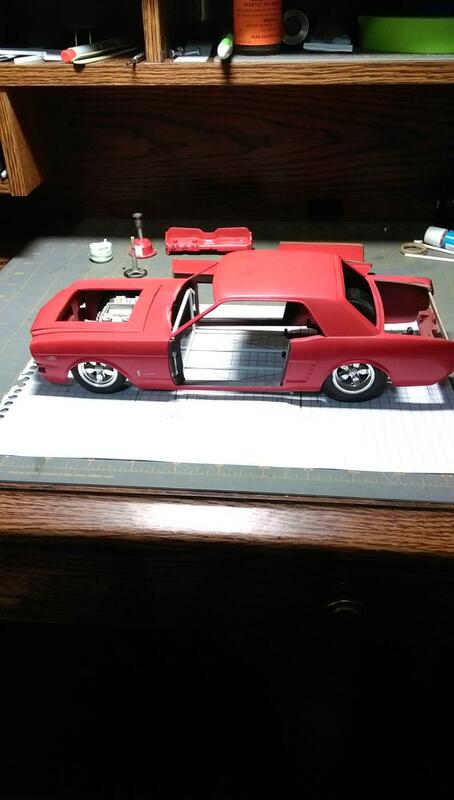 Im ordering tires, and chassis parts later tonight, and will continue the chassis. The goal has changed slightly. Im going to shoot for a car that has been certed to 7.50s. The car would be a high 7s, low 8s car, complete with trailer, and such. 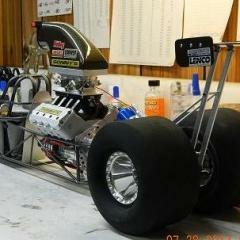 Im going to practice a bit before going into a full detailed, unlimited drag week car. I know the pictures arent good. Sorry, phone camera, and non-tech guy, with semi shiney metal background.